We don’t mean to sound too cliché, but the fact is that “an ounce of prevention is worth a pound of cure.” At Monet Aesthetic Dentistry, we’d much rather prevent a dental problem than have to fix a bothersome and expensive issue that could have easily been avoided. That’s why general and preventive dentistry is at the heart of our dental office in Farmington, MI. In keeping with the recommendation of the American Dental Association, Dr. Leslie Metzger would like to see you and your family members twice every year for dental checkups. 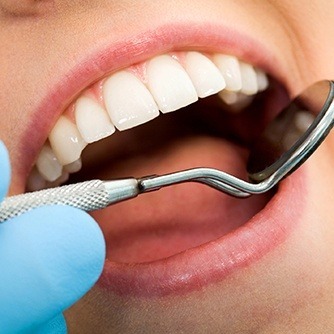 At these checkups, we’ll carefully clean your teeth and examine every part of the mouth for any visible signs of decay. 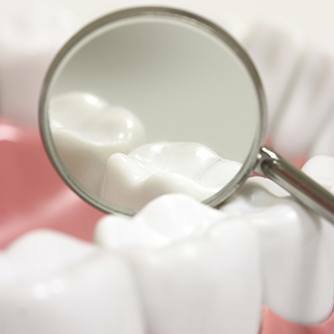 We’ll assess the health of your gums and other soft tissues, and we’ll take X-rays when necessary to reveal hidden spots of decay or possible infection. If we find anything, we can quickly provide the solutions you need. The back teeth—also known as the premolars and molars—are actually the most likely to develop cavities in children and adults alike. 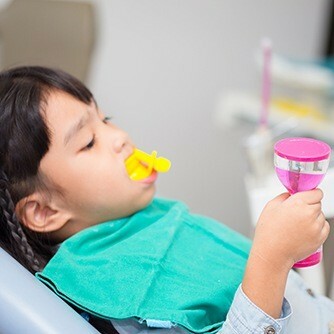 Thankfully, dental sealants enable us to give them just a little bit of extra protection to keep our patients healthy year-round. We simply apply a thin, clear layer of a plastic-based substance to these teeth, and it quickly hardens into an invisible barrier that cavity-causing food particles, plaque, and bacteria cannot cross. 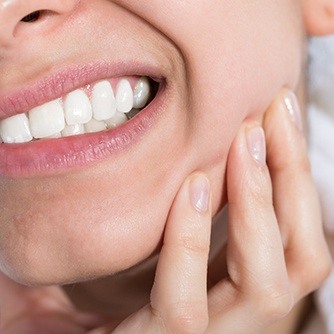 Bruxism is a condition that affects about one in three people according to research, and it involves unconscious jaw clenching and teeth grinding. For most, it only occurs during sleep, and left untreated, it can often lead to broken teeth, chronic headaches, and even a strained jaw. To combat this sneaky problem, we can recommend that a patient wear a nightguard to bed. 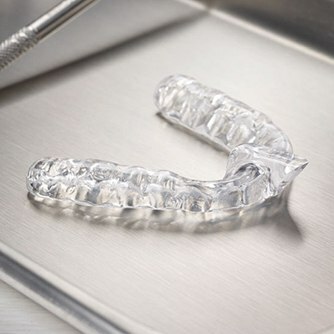 This is a small, custom-made oral appliance that fits comfortably over the teeth and places a protective barrier between them to prevent any contact. Nearly 50,000 people will be diagnosed with oral cancer this year alone, and up to 25% of them will not be smokers or drinkers! 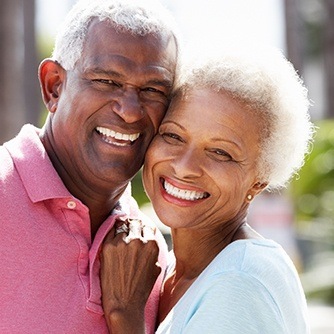 Early detection is the key to successfully treating the disease, which is why Dr. Metzger includes a full oral cancer screening as part of every routine checkup. She’ll examine your mouth for any persistent sores or suspicious growths, and if she finds anything, she’ll help you quickly get the follow-up care that you need. Decades of research have shown that regular exposure to fluoride is one of the best ways to strengthen the teeth and prevent cavities over time, which is why you’ll so often find it in toothpaste and tap water. However, due to a growth in popularity of un-fluoridated bottled water, more and more people aren’t getting enough of this mineral every day to keep their teeth fully protected. That’s why every checkup will also include a short fluoride treatment. It’s quick, it’s painless, and it’s one of the best ways to keep your teeth healthy between appointments. It is estimated that about 80% of the population has gum (periodontal) disease and isn’t even aware of it—we may recommend a deep cleaning, otherwise known as scaling and root planing, if we suspect you have this oral infection. We want to treat gum disease before it compromises any of your teeth’s structure, the integrity of your jawbone, or your overall health. Gum disease has been linked to several health concerns, including high blood pressure, strokes, heart disease, diabetes, and osteoporosis. 99% of everyone’s dental care actually happens at home, so as you can imagine, the products you and your family use every day (toothbrushes, toothpastes, mouthwashes, etc.) are extremely important to your oral health over time. Whenever you come to see us, our hygiene team will be more than happy to recommend which products they think are best for your particular smile. We even have many of these products on-hand, including a few prescription strength ones that you won’t find on store shelves! At Dr. Metzger’s office, we know a bad bite can put your jaw-to-skull relationship out of alignment. When this happens, temporomandibular joint dysfunction (known as TMD) symptoms can occur. This cluster of symptoms can include headaches, earaches, ear ringing, loud jaw clicking, stiffness and pain in the neck, shoulders, and back, pressure behind the eyes, and even numbness in the fingertips. 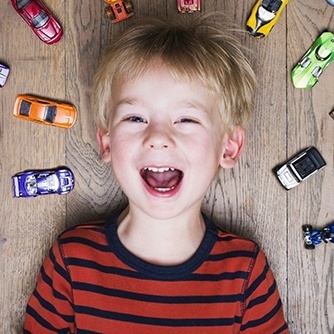 According to recent studies, more than 40 million Americans currently suffer with TMD. Dr. Metzger offers non-invasive treatments to deliver fast relief from TMD-related pain. Find out more about headache relief from Dr. Metzger by clicking on the link below. At Monet Aesthetic Dentistry, the youngest members of your family are always welcome! We just love taking care of little smiles and setting them on the path to optimal oral health. Children instantly feel at ease in our warm and laughter-filled atmosphere, and we have exactly what their growing smiles need to stay strong and beautiful through every stage of development. We also help teach them healthy habits, so they know how to take care of their teeth at home.